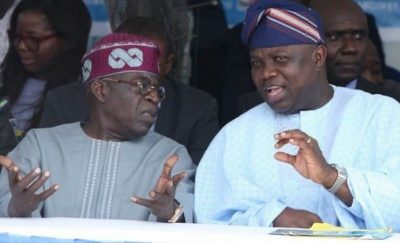 If Lagos State Governor Akinwunmi Ambode feels being held hostage by his political godfather, he should blame no one but himself for how long his ordeal lasts. No, we are not lost in schadenfreude – gloatingly cavorting about over the political misfortune of Ambode as he is being hoisted by his own petard. Rather, we are interested in the political fortune of Lagos, its development and the fact that Ambode is not confronted with a terminal crisis. It is within his power to end his predicament. Ambode has been chafing under this political affliction that he is not sure of how and when it would end because he has refused to look for a cure outside Bourdillon. Consider this: Is it not possible that when Senate President Bukola Saraki says he has the magic wand to break the political godfatherism under which Lagos has been choking for over a decade now he is covertly telling Ambode to come to him for the cure? Ambode cannot easily dismiss Saraki. He has triumphantly broken the political moulds his own father, and his former political party, tried to fit him in. 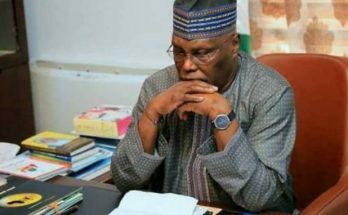 Or he may decide to seek the help of the Minister of Labour and Employment Chris Ngige who may not readily, unlike Saraki, announce in the public the potency of his cure for godfatherism to avoid suffering excoriation for anti-party activities since they both belong to the same party. We are not privy to Saraki’s cure. So, we do not know whether it is similar to the one this column offers. We are giving this prescription not because we really know the cause of the awry relationship between Ambode and his godfather. The grievances of Bola Tinubu have not been formally catalogued in the public domain; they are shrouded in utter secrecy. 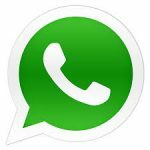 All we hear in private discussions are speculations. But what we are sure of is that the squabble is over the 2019 governorship election in Lagos State. While Ambode wants to re-contest for another four-year term, his godfather wants another of his crony to replace him. Clearly, Ambode’s memory should throb with gratitude to Tinubu who launched him into politics. Yes, there are people who pull themselves up by their own bootstraps. But in all spheres of life as in politics, there are people who find themselves at the high table because somebody has interest in them and invites them to join him there. So, if Ambode had really wronged Tinubu, he should appease him. To do this, Ambode has been travelling through the length and breadth of Nigeria. He has sought the help of President Muhammadu Buhari, governors and other political leaders. He might also have sought the help of traditional rulers. But the godfather is adamantly stuck to his grudges. Since the godfather would not thaw, if Ambode is persuaded that he has been sincerely discharging his governance responsibilities to the people of the state, what is wrong with him saying he can no longer stoop so low to conquer Tinubu? Must it all be about power? How about Ambode saying that he stands or falls with his convictions? Is it that in the course of trying to please the godfather, Ambode has no principles at the core of his being? 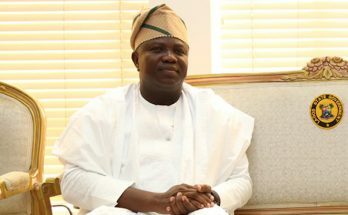 We are not asking Ambode to be another King Edward VIII who abdicated his British throne because of his convictions – he could not contemplate the thought of giving up his marriage to Simpson, an American divorcee. But the tragedy is that Ambode has shown that he is a typical Nigerian politician who stands for nothing and falls for everything. The rift is thus a test of the altruism of Ambode’s quest for public office in the first place. If Ambode were really out to serve, nothing is wrong with him saying that he cannot accept conditions that would impede his good service to the people. Again, if Ambode believes that he has done well in serving the residents of Lagos why not call the bluff of his godfather? Then he can seek to run on another political party for the people he has served well to return him to office. What he needs is not to test his popularity among the cronies of his godfather in a primary that is already heavily rigged against him. He should only seek to test his popularity among the residents of the state. In this regard, instead of ceaselessly courting his godfather, Ambode should appeal to Lagos residents he is meant to serve. No doubt, Ambode has recorded some achievements. He has raised the developmental index of Lagos. So, there are people who are ready to vote for him. But the more he begs Tinubu, the more he is losing these people. This is because by begging Tinubu, he is alienating these people who now feel that a vote for Ambode is a vote for godfatherism. Remember, it was the French military genius and emperor Napoleon Bonaparte who observed that one bad general is better than two good generals. Why should there be two governors in Lagos State? Let there be only one governor who would fail, learn from his mistakes and be held accountable to the people. If Ambode thinks he owes apologies to his godfather in order to return to power, he owes more apologies to the residents of the state. Indeed, in those moments when Ambode was befuddled by the arrogance of power, he offended Lagos residents. Or have we forgotten so soon how Ambode who was prompted by his wife who felt scandalised in a church, ejected a pastor from his residence in a brazen violation of the law of the state that a tenant should be given a quit notice? Instead of Ambode’s wife going to cry before Tinubu, she should go and cry before Venerable Femi Taiwo who was the pastor of Chapel of Christ the Light, Alausa, Lagos State, whom she sacked through her husband. She must go further to apologise to the church from which the pastor was humiliated and all Lagos residents to whom the attack on the pastor was an affront on them. The state chapter of the Christian Association of Nigeria (CAN) that also acquiesced in Ambode’s tyranny should also apologise to Taiwo. This is a case in the public domain. There could be other foibles and peccadilloes of Ambode and his wife that are not known to the public. 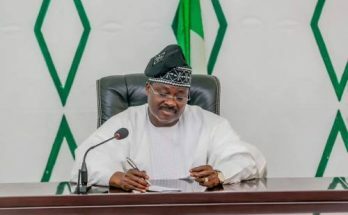 Then the governor should also apologise to the residents of the state whose expectations of good governance in some areas have been neglected. After doing all this, Ambode should go to the poll under the auspices of another political party if the godfather is implacable and he is unable to get the ticket of the All Progressives Congress (APC). If he wins, it would be a vindication of the good service he has rendered to the residents of Lagos in the past three years. He would also hold the singular record of breaking godfatherism in Lagos. If he fails to win the election, there is a much more satisfaction of being able to live in line with the dictates of his own conscience. Again, there is also the personal satisfaction of standing up to the godfather, a feat that other politicians are likely to build upon until Lagos is freed of godfatherism. Ambode’s political career may not share a kinship in grandeur with the career of Napoleon. Yet, in this period when Ambode’s political career is hovering over the precipice, he has a lesson to learn from the life of the French general. After Napoleon had conquered and lost half of the world, he spent the last days of his solitary life in St. Helena. Yes, he was defeated. Yes, the mistakes he had made in the course of his career as an emperor paraded themselves before him. But his spirit was not bowed. It was in that defiant spirit that he declared to his gaoler about his ill-treatment: “ You can dispose of my life as you please, but not of my heart. Ambode may be defeated at the poll, but he should be more concerned that posterity says that in the long run, his heart did not bow. All forces are arrayed against him with a view to consigning him to political oblivion. But instead of being trapped in his self-abnegating genuflection and prostration before Tinubu, he must demonstrate exemplary courage.